Our new homes are changing the face of communities across the east. We are building hundreds of homes across the Lothians with The City of Edinburgh Council, East Lothian Council and Midlothian Council. Find out more below about our new homes being developed. Our Gorton Loan project will have a total of 40 properties made up of 24 social rent homes and 16 mid-market rent homes. Our mid-market rent homes will be managed by our sister organisation, Lowther Homes. Dunedin Canmore entered into a building contract with Avant Homes in November 2016 and completion is scheduled in early 2018. Work is starting on site in October 2017 with Cruden Homes. Following the ‘Gilmerton Limestone Emergency’ in 2000, which resulted in the loss of 222 Council and private homes, the City of Edinburgh Council appointed Dunedin Canmore to lead an extensive regeneration project of the Moredun Hyvots area. 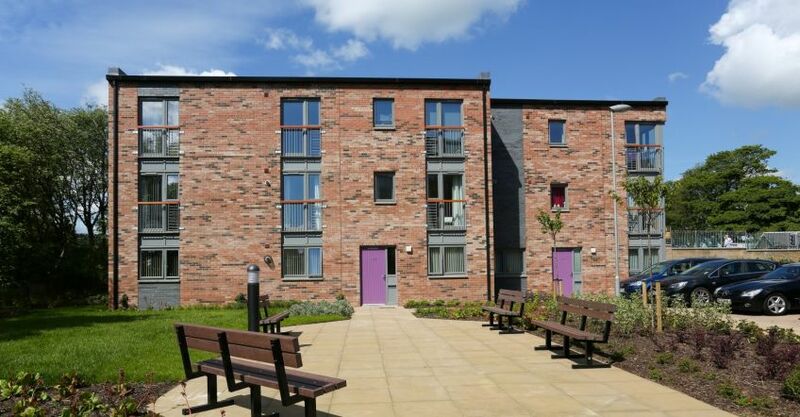 208 social rented homes were refurbished, 163 private homes externally refurbished and 441 new affordable homes provided including an amenity housing complex for older people. Hyvots 7 is the final part of this regeneration project. Dunedin Canmore is building 24 social rented units due to be completed early 2019. Work starting on site in October 2017 with Persimmon Homes. The greenfield site is located to the south of Greendykes in the south east of Edinburgh close to the recently built New Royal Infirmary and an emerging residential area in Greendykes. The area is undergoing significant regeneration. The site is part of a wider masterplan for the local area that will provide a mixture of private sale and affordable housing via a number of private housing developers, housing associations and the city council.